WrestleMania 35 is set to be one of the most exciting WrestleMania shows in recent history, with an array of mouth-watering clashes set to take place on April 7, 2019. While the match that everyone is eagerly waiting for is the triple threat match between Ronda Rousey, Becky Lynch, and Charlotte Flair for the RAW Women's title, the contest between Brock Lesnar and Seth Rollins for the Universal title is another exciting match at WrestleMania 35. Lesnar and Rollins have wrestled thrice before, two of which were triple threat matches, while the sole singles match, at Battleground in 2015, swung in Lesnar's favour. 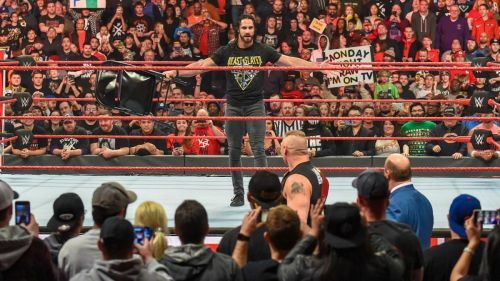 At WrestleMania 35, Seth Rollins will be looking to win the Universal title for the first time when he faces off against Lesnar. 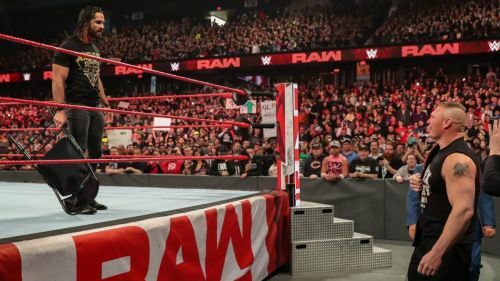 The WWE Universe have been demanding, for quite some time, to see Seth Rollins get an opportunity at the Universal title, much like they've pushed Becky Lynch to get her match against Ronda Rousey and Charlotte Flair for the Universal title, and Kofi Kingston a chance to win the WWE Championship. But, WWE may not give wins to all three of them at WrestleMania 35. Much like last year, where Lesnar faced Roman Reigns and almost everyone expected Reigns to win, WWE could pull off a huge swerve and keep the title on Brock Lesnar. That wouldn't be different from what WWE have done over the last few years when Lesnar has had the Universal title around his waist. And with WWE having swerved so many times with the Kofi Kingston and Becky Lynch storyline, I expect those two to win it (if and when WWE adds Kofi to the WWE Championship match), and perhaps Rollins losing his match at WrestleMania 35.